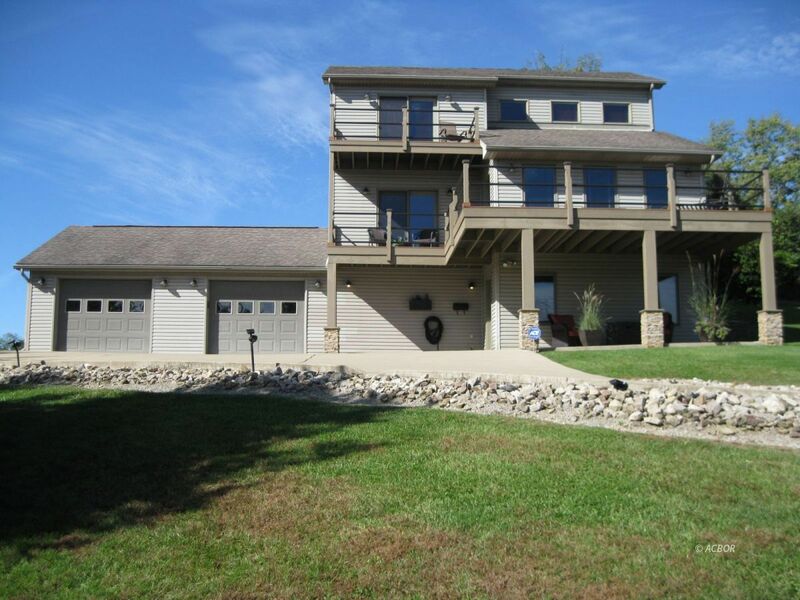 4 bedroom, 3 bath w/ possible in-law space w/ high end finishes. Upon entering the lower level you will find all hardwood floors w/ an open living space, kitchenette, full bath w/ tile floors, wall fireplace, private bedroom currently used as a game room, utility/laundry room. Walk up the open staircase and you will find a main level that is open and bright with all hardwood floors, cathedral ceilings, large family room with gas fireplace, beautiful open kitchen and dining w/ maple cabinets & granite tops, another nice size bedroom w/ full laundry in closet plus another full bath w/ tile floors in hall. Private front balcony w/ hilltop views. French doors go to an outdoor kitchen w/ a fridge & built in gas grill, hot tub, firepit, & furniture. Upstairs has an open landing overlooking the family room below, another bedroom currently being used as an office, a master suite w/ corner fireplace, a custom master bath w/ double sinks, heated towel bars, garden tub and separate shower. Home includes whole house generator. Property has all city services, 2 min. to town. Can be sold with furnishings.